News spreads at the speed of light, and the same can be said for trends in the digital marketing world. As a digital marketing agency, we spent 2018 analyzing, measuring, creating and testing everything from social media advertising to automation and now we’re ready to dive into 2019 to do the same. If you haven’t noticed by now (how is that possible? ), most new online content is visual. We mean, it seems like most people won’t read an article, but they will read if the text is on a video. For that reason, video has become the go-to option for most companies that want to go “viral.” In the online realm, the videos with the most views have some advertising content squeezed in, but at the same time, are also a valuable source of entertainment and information. And since every social platform handles this advertising differently, digital marketing agencies must identify which is best for each client. Not only is it a creative medium in which to advertise, video marketing is among the cheapest and most profitable digital marketing methods you can use. As a plus, the “Live” option has evolved beyond being a novelty and can be a real value-add for consumers. In fact – 45% of live video users have said that they would pay to watch live broadcasts of their favorite celebrity. We’ll call that Influencers 2.0. Creativity Begets Individuality. Individuality is everything. Nothing new to see here. You probably already knew that original and quality content equals success in the marketing world. Creativity is the main resource marketers utilize, and that means we all have to step up our creativity game! Step outside the box as you develop your digital marketing strategies in 2019! What’s up with Google Ads? Did you know 30% of Internet users are using AdBlock? If you’re a digital marketing agency like us, that number is beyond upsetting! Yet, you know who isn’t upset? Our pal, Google. 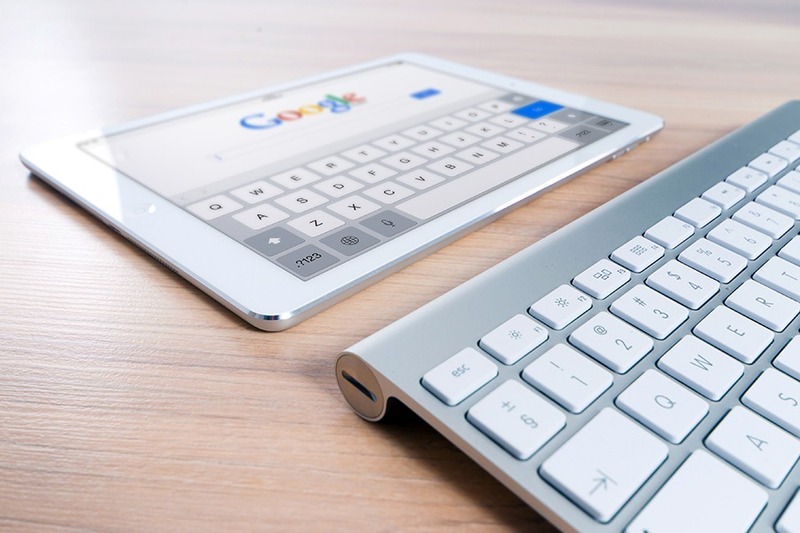 Rather than lamenting the presence of AdBlock, Google decided to adapt, allowing advertisers to highly customize their campaigns to reach their target audiences. In order to make the most of your Google Ads, marketers need to keep a close eye on the micro-moments during a customer’s digital journeyof their website using cookies and pixels. These will allow you to track everything they do on your site, from reading a blog post to completing a contact form. This not only identifies your most compelling content but also allows you to utilize remarketing tactics (AKA, ads targeted to those who have recently visited your website). What seemed unbelievable a few years ago will become ordinary in 2019. For us, it’s AI. And while chatbots aren’t the most “intelligent” of the AI set, they’re going to become important. Chatbots are a unique and effective method of interacting directly with current or potential customers by providing information about your company (brand awareness) or about products and services (sales). The best part? It’s extremely cost effective. Going into 2019, digital marketers will increasingly deploy chatbots (with personality!) to actively engage customers without breaking the bank. So, if you haven’t already started yet, what are you waiting for? Now’s the time to start leveraging chatbots to streamline customer communications, success and sales – a big plus for any company! Almost half of the world’s population is online, and it’s all thanks to social media. Everybody’s there, so of course businesses want to be there too. Just don’t stand awkwardly in the corner waiting to figure things out. You’ve got to be proactive. Although social media has been around for over a decade (wow, that makes us feel old), it seems like marketers are just now getting the hang of adapting their methods for the digital age. And that’s because we are! Between constant algorithm changes and popularity fluctuating between platforms, digital marketing agencies are constantly having to adapt. But all the hard work is worth it because social media allows us to gather essential data about audiences and behavior. And while we’re on the topic of social media, let’s talk Influencer Marketing. Influencers continue to earn more and more trust from their audiences, but how do you identify whether they’re true “influencers” or just people with a large following? Check out our blog post about finding the perfect influencer. 2019 isn’t the year of the “voice search”, but it will definitely increase in usefulness for marketers and consumers alike. With smartphones in nearly every pocket, voice commands have become a basic function most people use around 3.5 billion times a day. And that’s just Google. Siri, Alexa, Cortana, Bixby and Google Now play assistant to billions of people, and it has the potential to further push the boundaries of online marketing. Voice search results are different from that of manual searches because of the smaller number of results, and it’s safe to say you want to be among those few, exclusive listings, right? We have three letters for you: S-E-O. Unsure which keywords to focus on? Start by conducting voice searches of your own. What pops up? If it’s not you, you’ve found the right keyword on which to focus!